JTE designers and programmers are focused on safety and the most intuitive HMI (Human Machine Interface) available, surpassing comparable alternatives, while ensuring scalability and upgradability. Long-term ownership satisfaction is at the forefront of the construction and component decisions in every JTE custom solution. A medical products patent holder and inventor, our chief engineer, Jens Evling, is recognized as one of the few “expert RF engineers“ in North America. He has roots in Sweden and many years of experience working directly for the European leader in High Frequency Automated RF solutions, FIAB High Frequency. He brings to the U.S., European standards and workmanship that when applied to U.S. demands and requirements, create a total solution that is unmatched in efficiency and innovation. Headquartered just outside Jacksonville, Florida, JTE is the North American exclusive distributor of FIAB High Frequency, located in Poland. A leader in its field, JTE has access to the best automation components available through its preferred OEM status with its worldwide network of suppliers, including manufacturing partners in Taiwan and several locations across the Midwest and Florida. The JTE facility includes 11,500 square feet of research, testing, design, manufacturing, training, and showroom space and is located just 30 minutes from Jacksonville International Airport, with easy access to the constantly expanding International Jacksonville Port Authority, and is within driving distance of four major Universities, including The University of Florida’s Sid Martin Biotechnology Incubator. JTE was awarded a “Grow Florida” grant as part of the state’s effort to assist qualified second stage manufacturing companies with their marketing, product development and market expansion efforts. Because of its depth, breadth, and high value of solutions offered, JTE has been quite successful in its recent efforts to broaden its market share and reach out to a more diverse range of customers. By investing heavily in R&D, product portfolio expansion, and increasing marketing efforts mostly without the assistance of suppliers, JTE has only just scratched the surface of global opportunities across its numerous industrial fabrics, medical devices, and packaging markets. The addition of these technologies allows JTE to truly become the “Total Solution Provider” to all of its existing customers, with the possibility to serve a much broader base of potential customers who may have been previously excluded due to the fact that their materials could not be welded by radio frequency or sonic bar technologies. Leveraging this unique position is a key element within JTE Machines long-term strategy to achieve exponential growth across North America and beyond. April 1999- JTE Machine Systems Inc. incorporated. May 1999- Established production and showroom facility in Jacksonville, FL. November 1999- Began building machines and parts as JTE Machine Systems, Inc.
April 2000- Hired first employee to manage production/operations. August 2000- Introduced new Swedish brand, Forsstrom into North America as an exclusive sales / service agent. 2001- Doubled in facility size, and set up full machine shop/ production area. 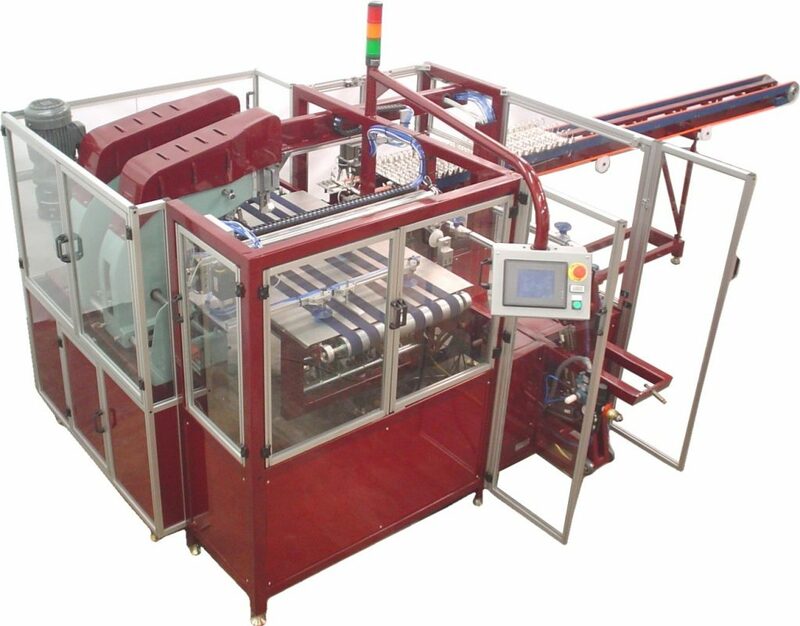 2003- Introduced first line of JTE built office automation 3-Ring binder machines. 2005- Awarded most successful worldwide agent. 2006- Installed first JTE branded RF machine. 2007- Exclusive FIAB distributor for North America. 2010- Expanded product line to include adhesive technology. 2011- Awarded Grow FL State Grant as a second stage growth manufacturer and innovator. 2014- Doubled size of facility to include dedicated training center and showroom. JTE has built a base of hundreds of customers with many applications that represent almost 95% of all RF track (traveling) welder installations in North America.